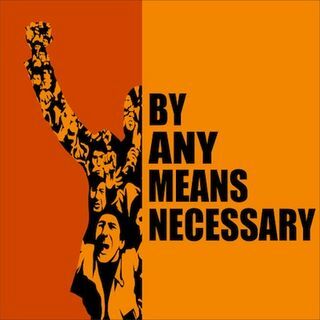 On this episode of "By Any Means Necessary" hosts Eugene Puryear and Sean Blackmon are joined by Sputnik News Analyst Grant Ferowich to talk about Amazon, Berkshire Hathaway and JP Morgan Chase working together to provide their U.S. workers and families another option on health insurance. The group also talks about the urgency around preventive care and the need to move the healthcare system aware from a profit-driven model. In a special second segment "By Any Means ... See More Necessary" is joined by Karen Smith, an organizer with the Incarcerated Workers Organizing Committee,. to talk about an ongoing prisoner strike in Florida called "Operation PUSH", the efforts for prisoners to secure basic human rights, the efforts by the Florida Department of Corrections to stop the strike and to punish organizers within and outside the prison, and the "good ole boy" network that oversees the Florida penal system. In the third segment Lucas Koerner, writer, Venezulanalysis.com joins the show to talk about the latest political developments in Venezuela, the efforts by local community members to organize in the face of economic uncertainty, the involvement of US Secretary of State Rex Tillerson in Venezuela's internal politics, and the larger geopolitical shifts across the world that are impacting Venezuela's political, social and economic conditions. Later in the show Eugene Puryear and Sean Blackmon are joined by Ra Shad Frazier-Gaines, Founder of the Black Progressives and Dane Figueroa Edidi, Black, Cuban, Indigenous, Nigerian trans woman, performance artist, playwright and advocate to talk about the release of the "Nunez Memo", the Arizona House voting to remove Rep. Don Shooter from office for 'workplace harassment', Rose McGowan's tense exchange with a trans activist, and the ongoing trial of former US gymnastic doctor Larry Nassar.